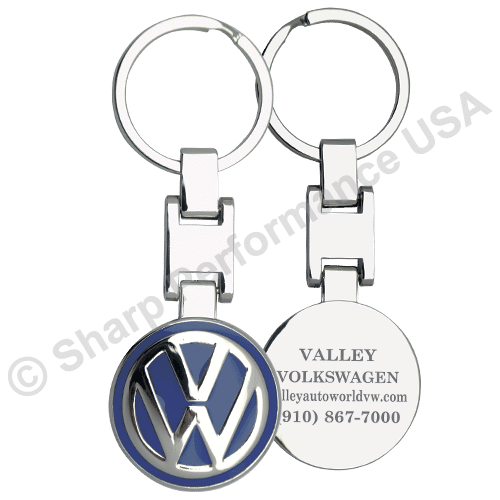 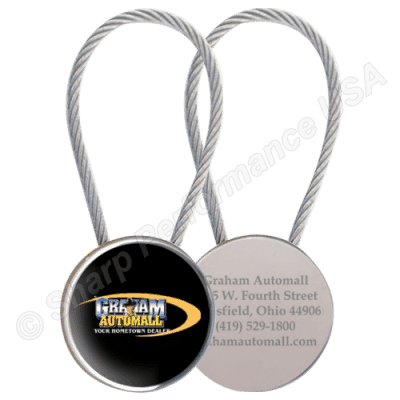 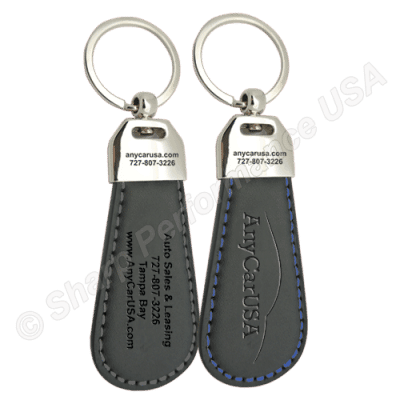 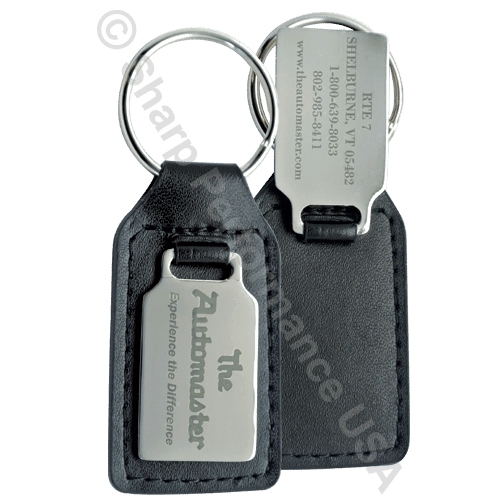 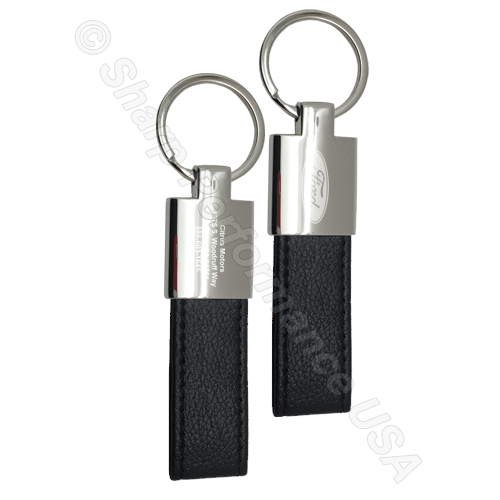 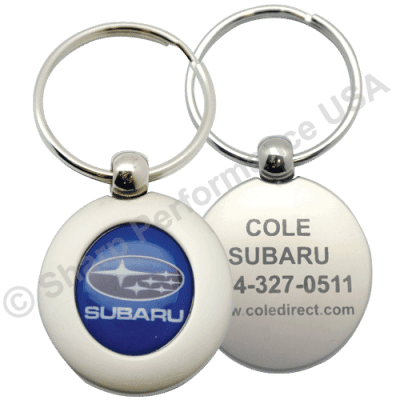 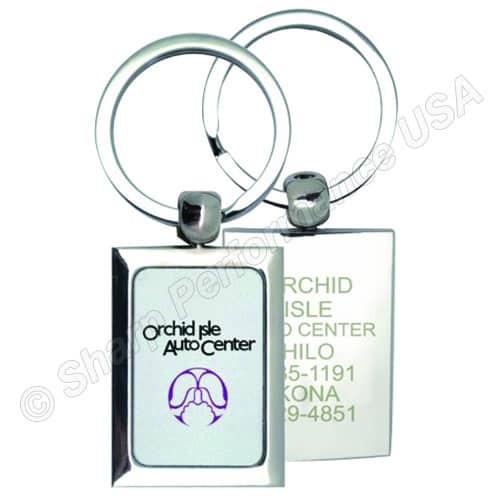 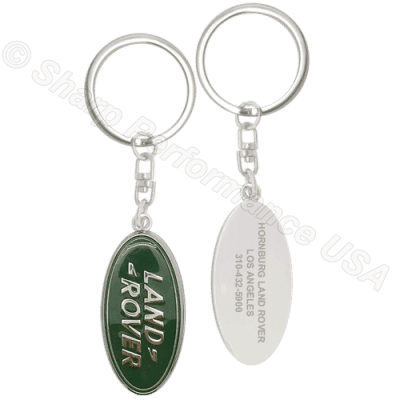 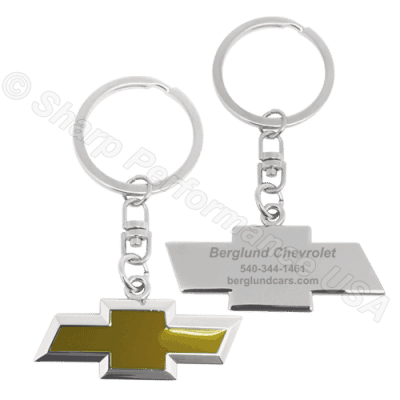 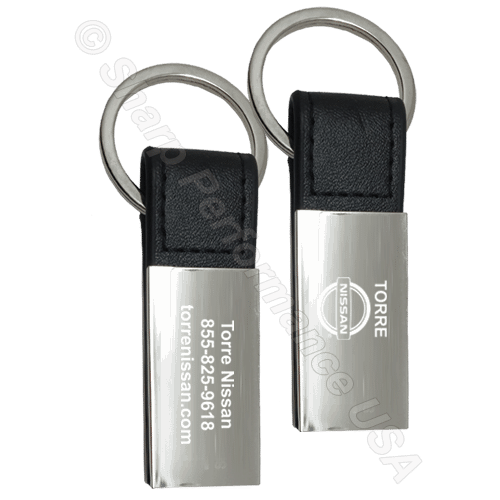 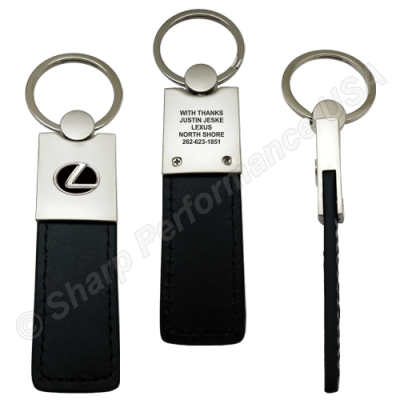 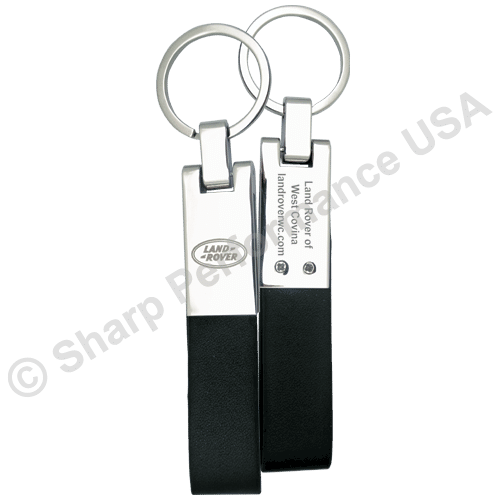 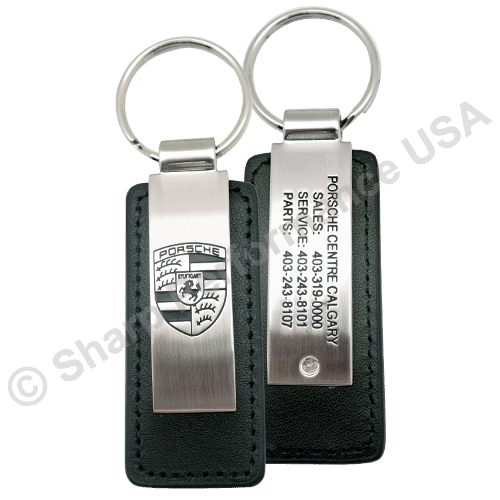 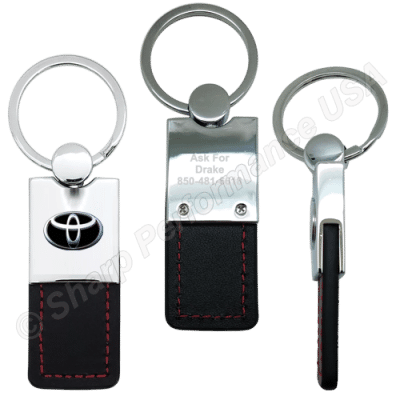 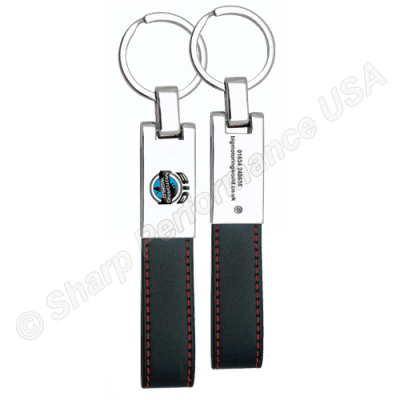 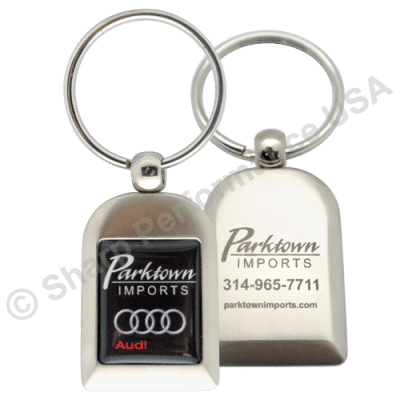 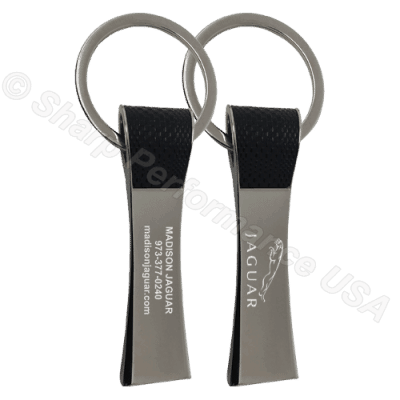 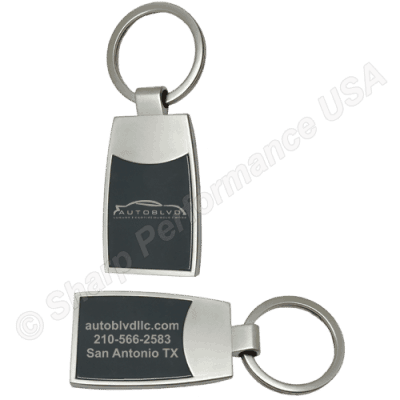 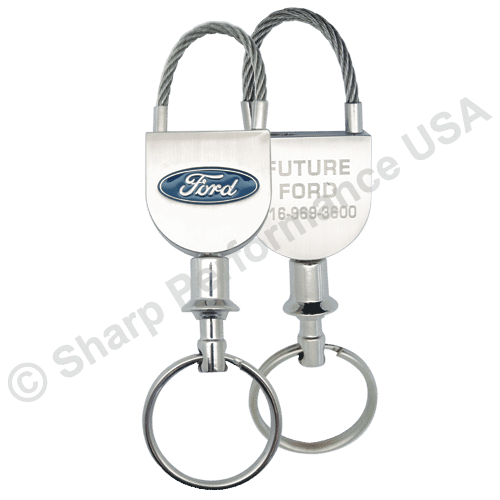 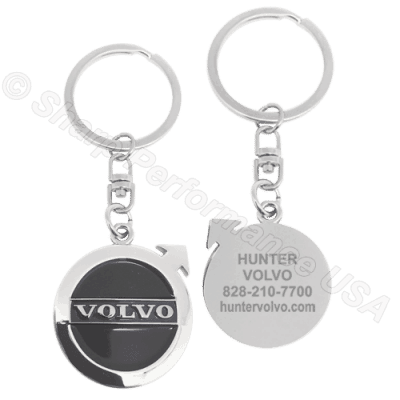 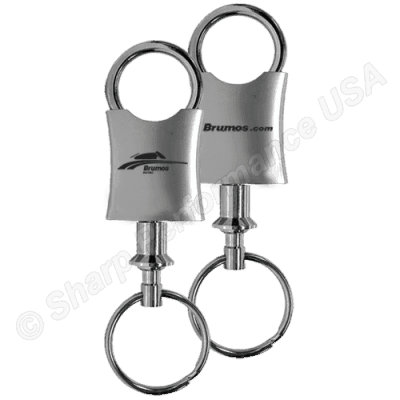 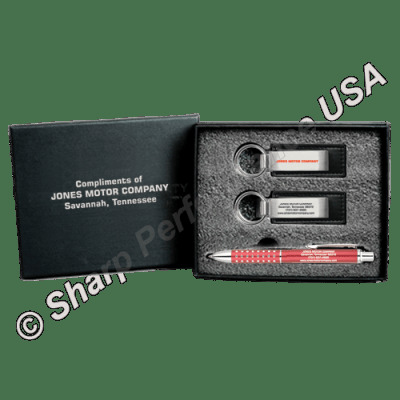 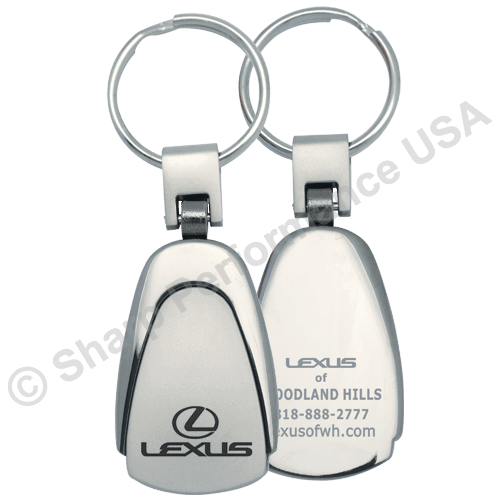 Custom Keychains | Sharp Performance USA | Call 1-888-441-1603 Now! 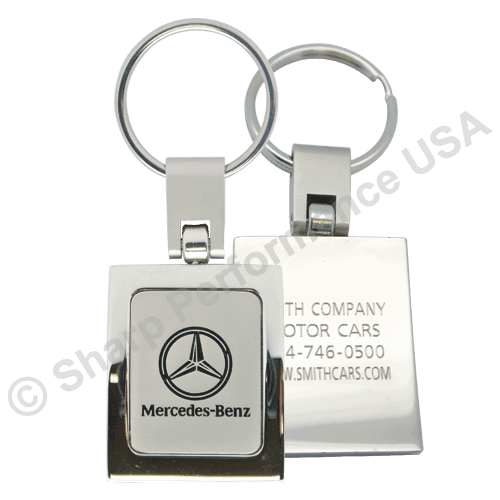 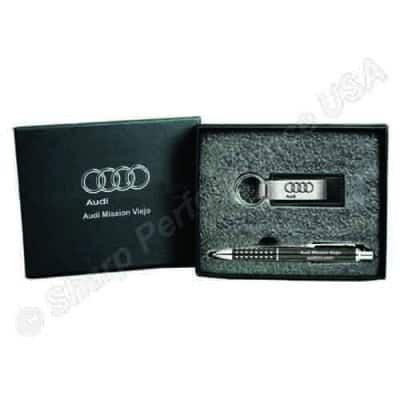 for corporate gifts or dealership new car sales. 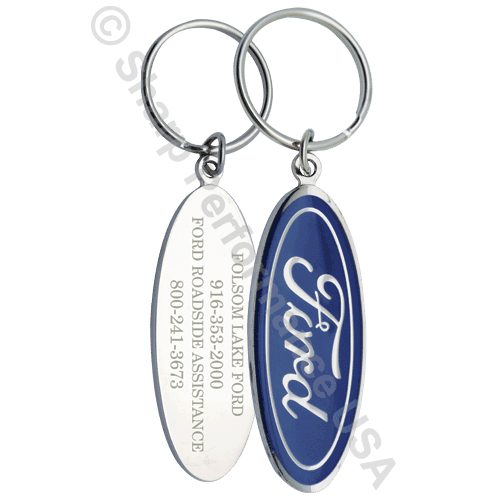 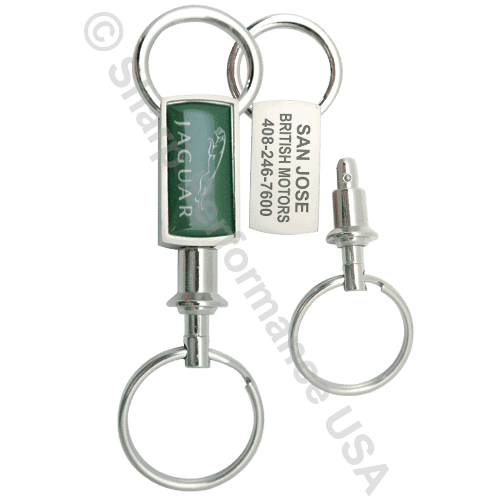 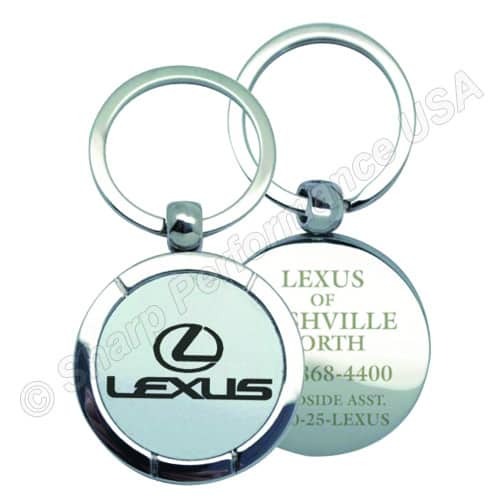 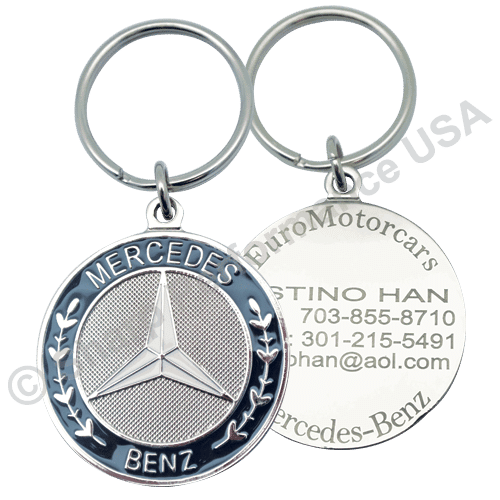 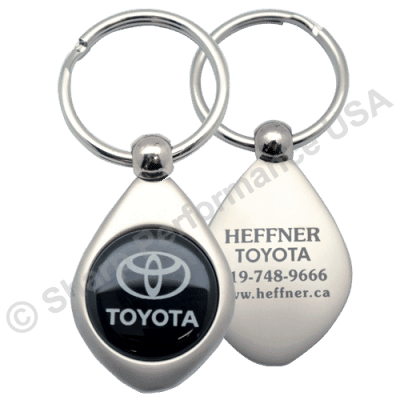 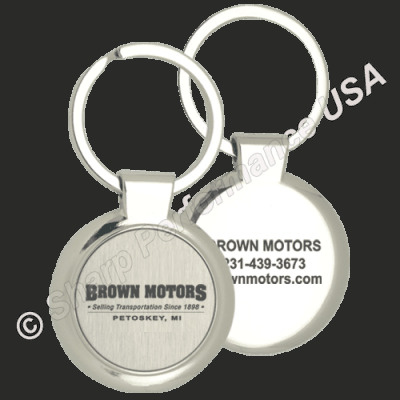 Custom Keychains are always the perfect something to hand your customers at a meeting or at the time of a sale. 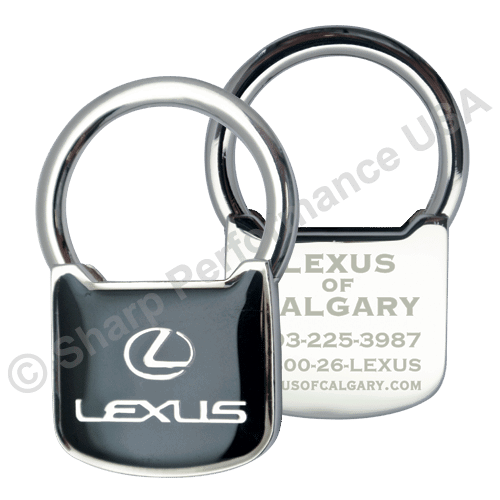 A gentle reminder to keep them coming back for sales, service, etc. 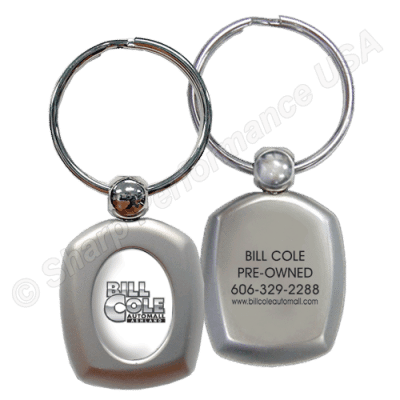 What better form of marketing and customer retention, than to give something the person holds on to and uses everyday! 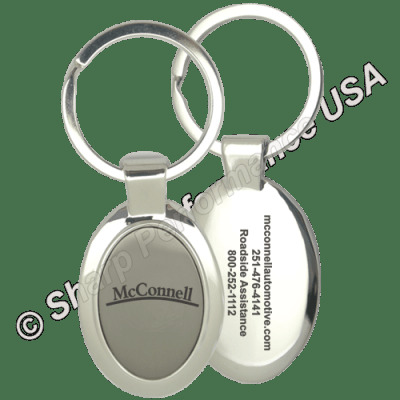 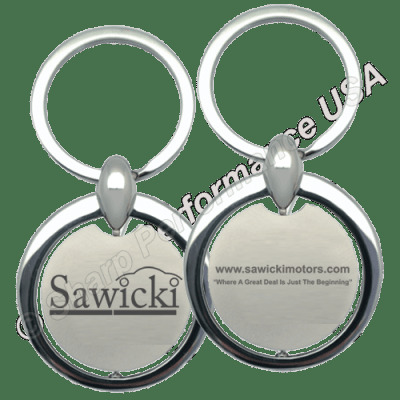 Our complete line of factory direct unique keychains, and popular key holder models are the best promotional gift you can give for long term return. 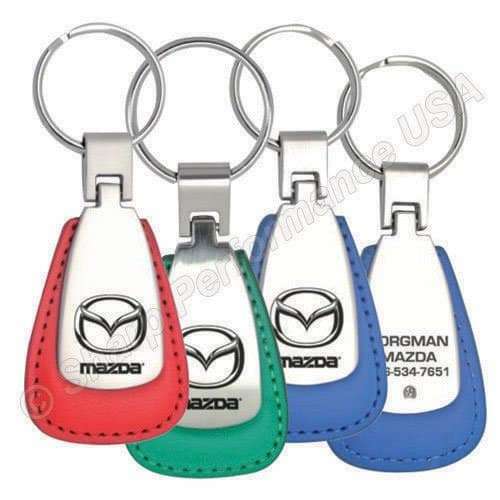 These models feature a luxurious mixture of leather and metal. 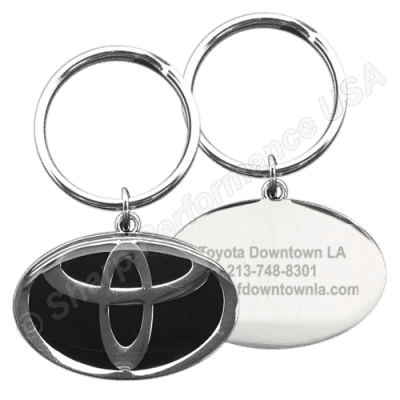 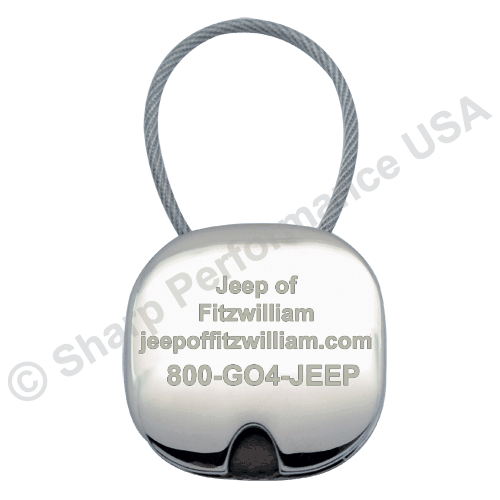 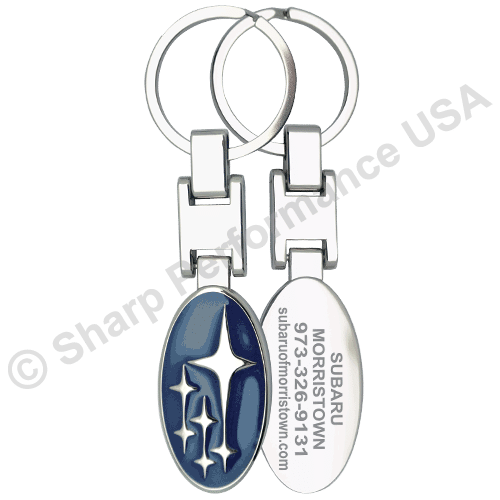 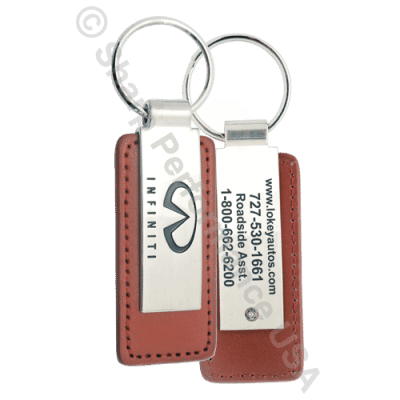 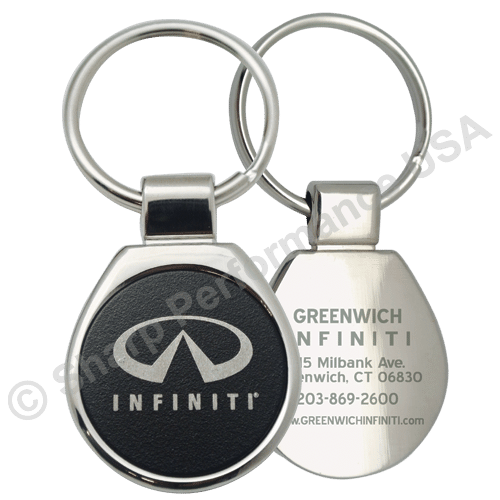 Some keychain models are available in different material and plating finishes. 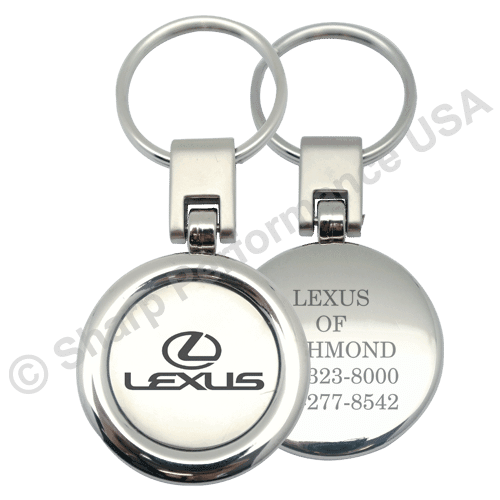 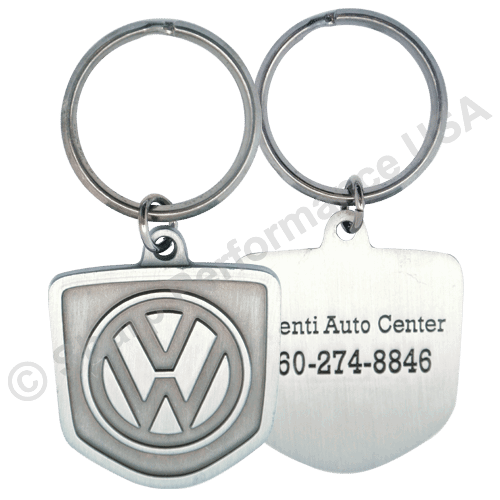 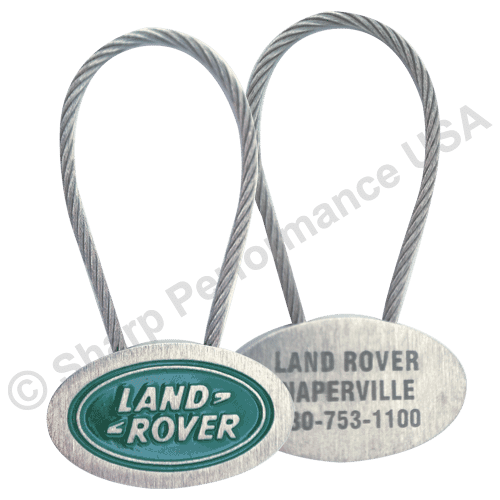 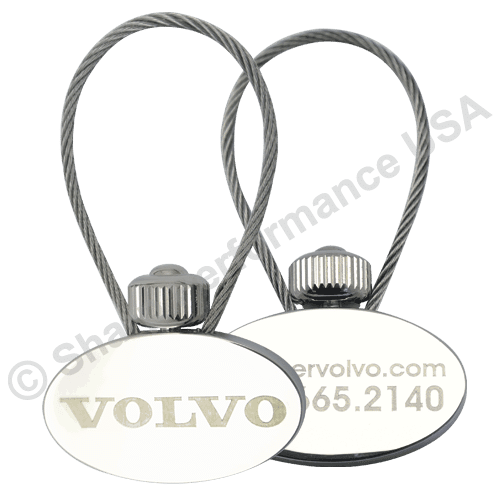 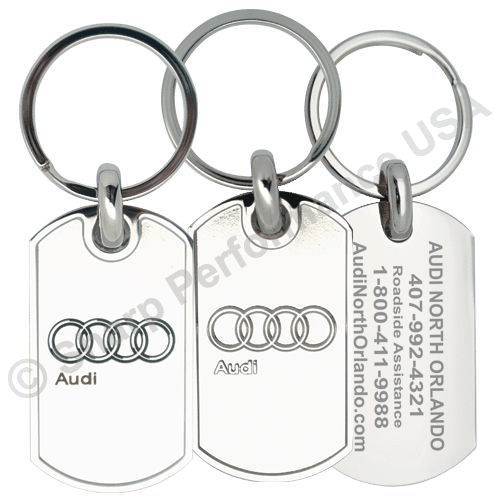 All key tags are customized with your company information. 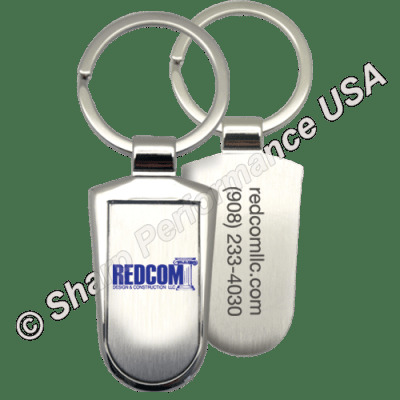 The keychain models below have a recessed front logo area, and are able to beautifully showcase a full color domed logo on the front. 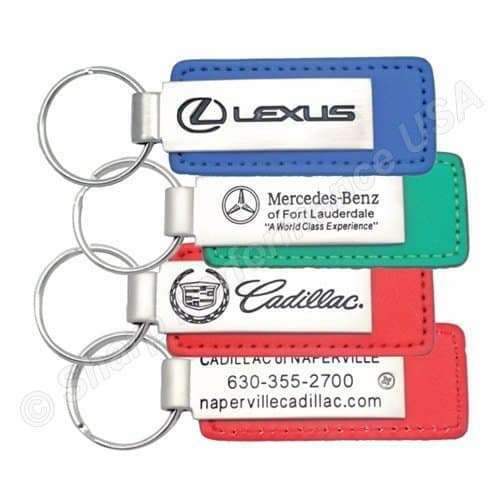 This is the best keychain series for highly detailed color logos. 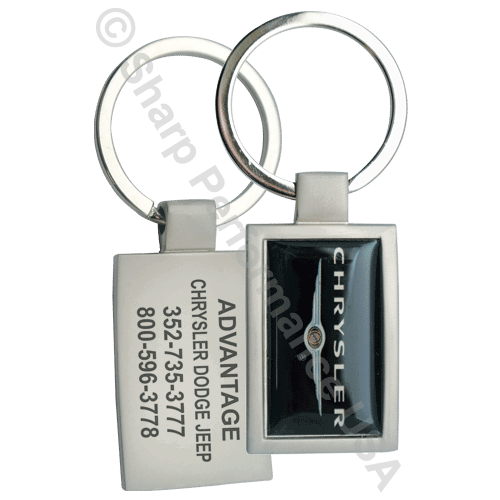 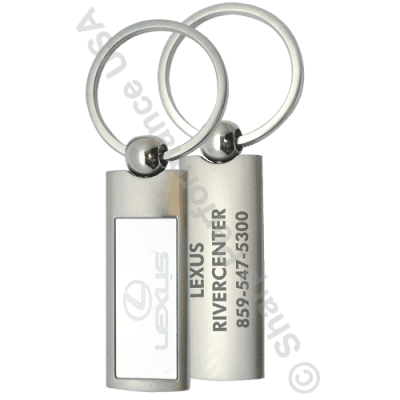 This series of custom key tags feature a heavy duty steel split key ring that strongly holds the keys together. 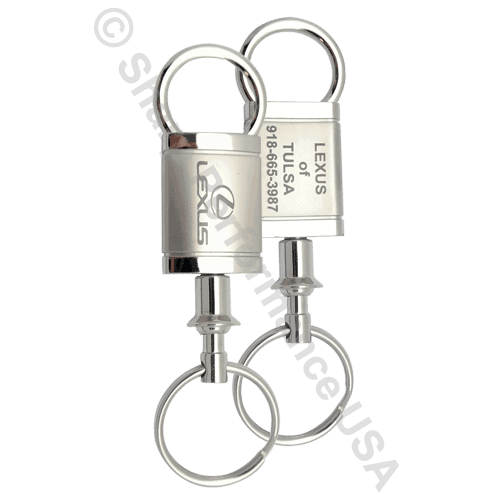 The split rings are available in 2 different sizes. 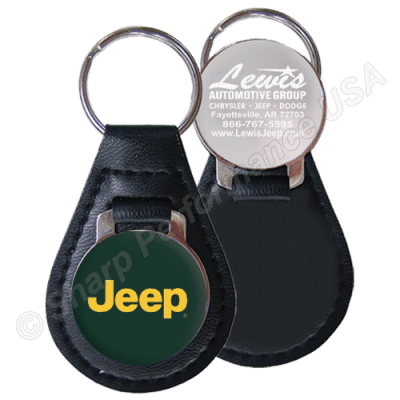 An optional mini split ring is also available for attaching to smart keys, keyless entry & remotes, making it the perfect key holder. 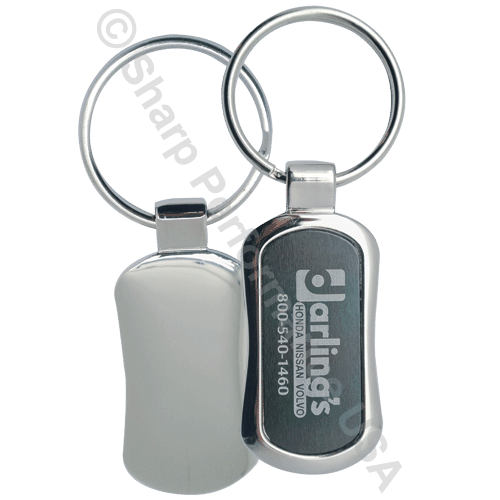 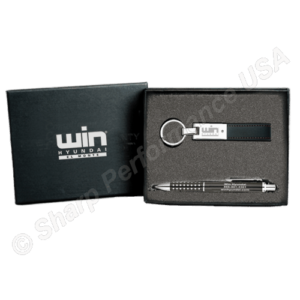 Enhance your brand image, by giving your promotional gift in a gift box. 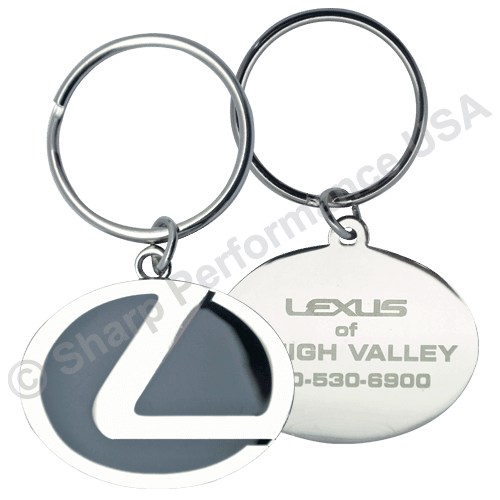 Don't see it here? 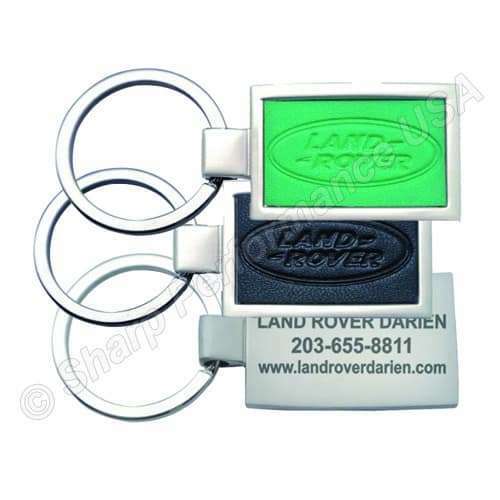 Just ask your rep for more options!